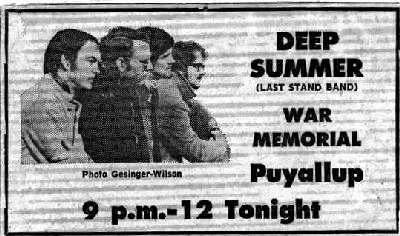 This was one of our "official" photos used for the newspaper ad in the Seattle Post Intelligencer in early winter 1969 when we played at "The Happening" backing up "Merilee & the Turnabouts". Pictured are myself, Scott Templeman, Steve Knightlinger, and Keith Wohlford. 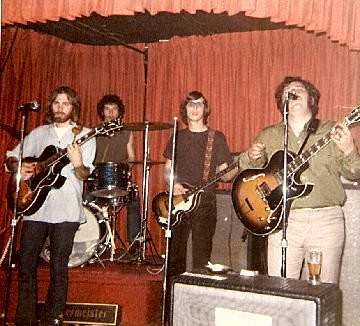 Mike VerValin, Ron Jansen, Bob Rittenhouse and Jim Adams performing at Mr. Buffino's in South Tacoma in early 1970's. 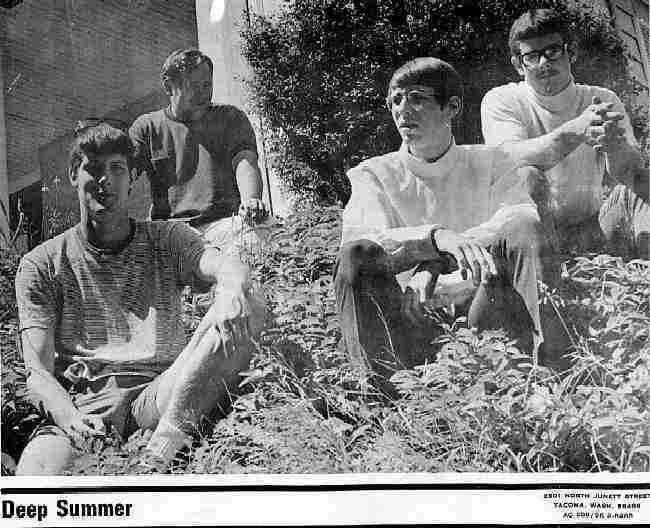 The group "Deep Summer" originated in the summer of 1968. The original members were: Jim Adams, Bob Rittenhouse, Scott Templeman , and Steve Knightlinger. The group enjoyed much success in the Puget Sound area right off the bat. 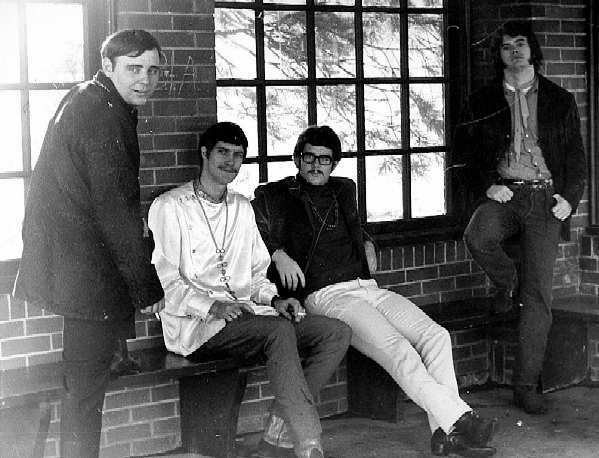 winter of 1969 and was replaced by Keith Wohlford ("the Wolfman" * see Bards, Appaloosa, Lucky Pierre, Fabulous Cyclones); Keith was later replaced by Jerry Rosengren on Bass. Dennis Wilson took over on drums in 1969 also. 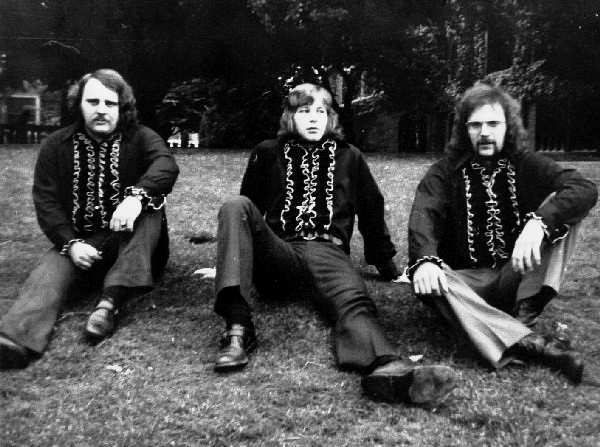 The group evolved into a top 40 lounge trio in the early 1970's with Jim Adams, Mike VerValin, and Max Mitchell or Ron Jansen . 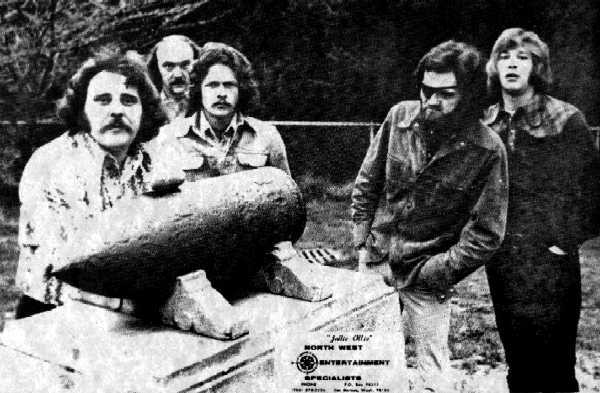 The 1973 version (5 piece) shown currently was an attempt to be a top 40 regionally touring act. This lasted until early 1974.